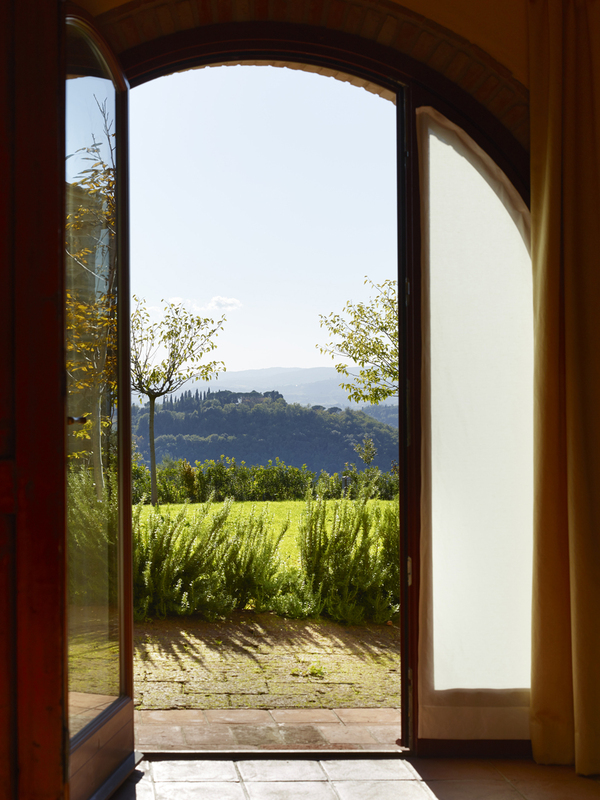 Celeste: a room with a view of the internal courtyard of the Borgo and painted in light blue that recalls the clear sky that can be admired from its windows. 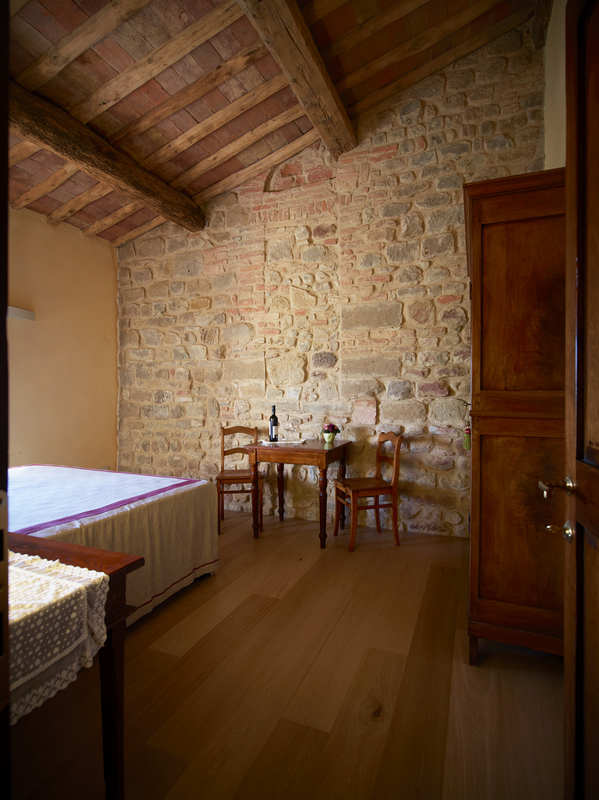 Oliva: room overlooking the valley who look up at the towers of San Gimignano. 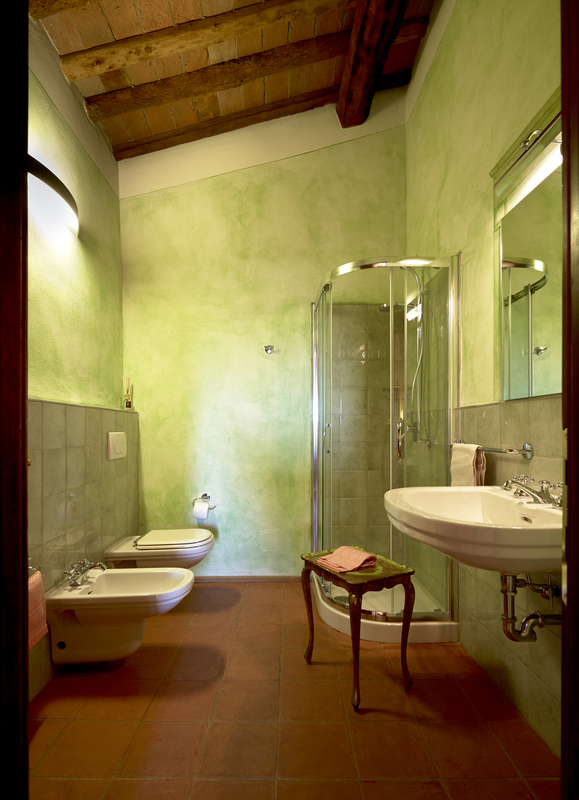 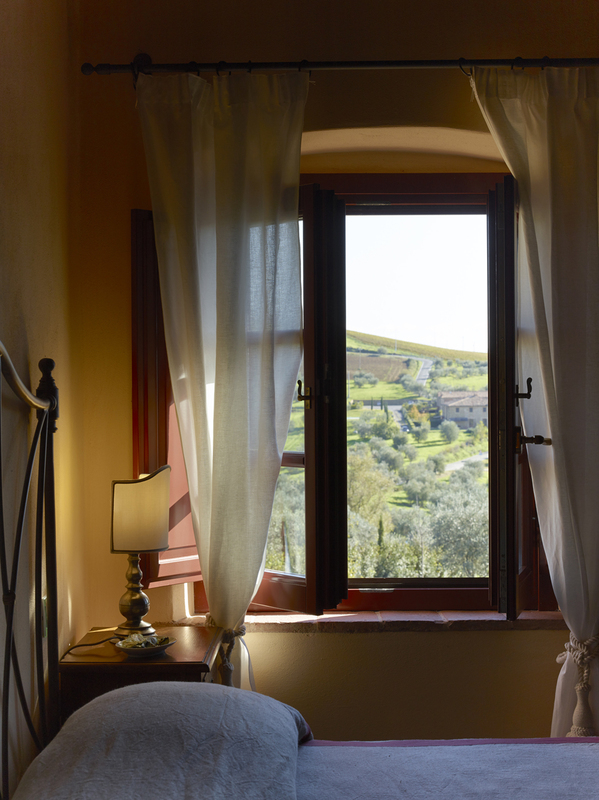 Olivella: it’s contiguous to Oliva room with the same wonderful view on the towers of San Gimignano. 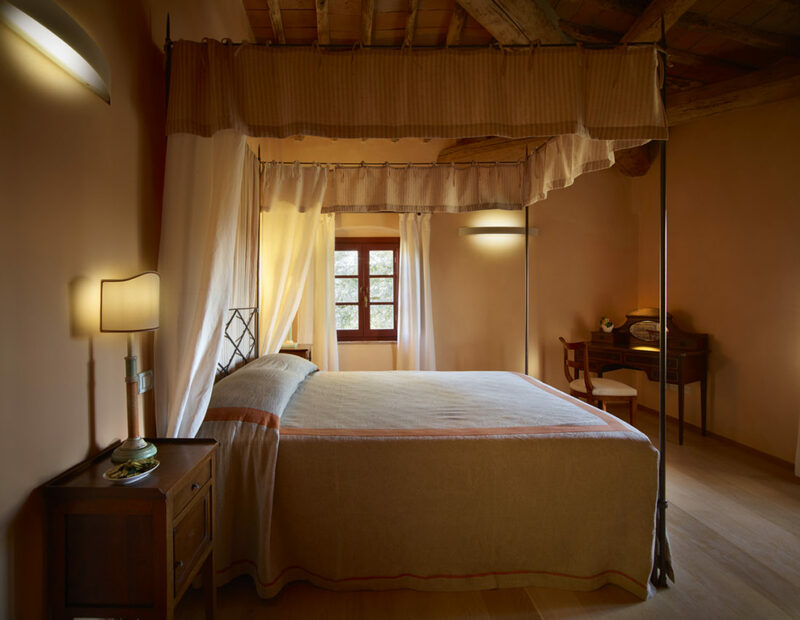 Cupola: it takes its name from the dome of San Michele Arcangelo in San Donnino, located on the first floor of an old barn whose grilled openings still remain. 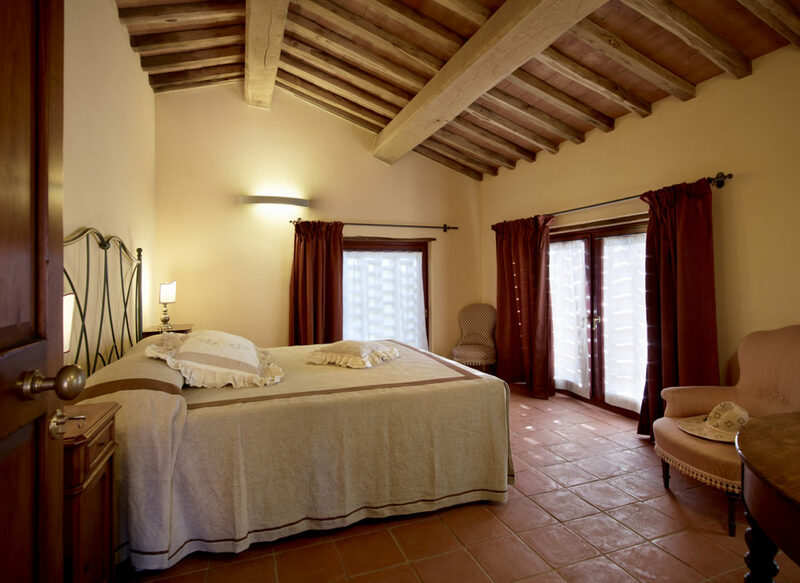 Cappella: it takes its name from the dome of San Michele Arcangelo in San Donnino, located on the ground floor of an old barn, surrounded by the garden and a delightful private patio with sofas. 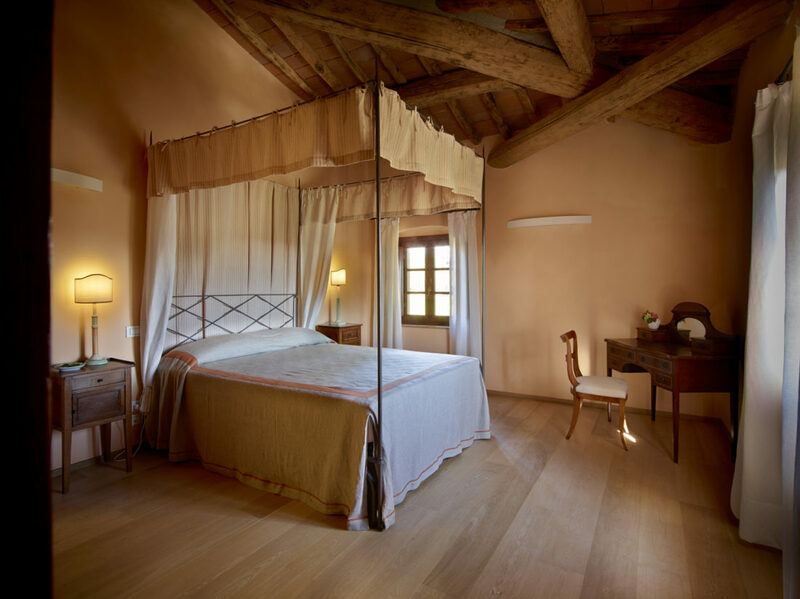 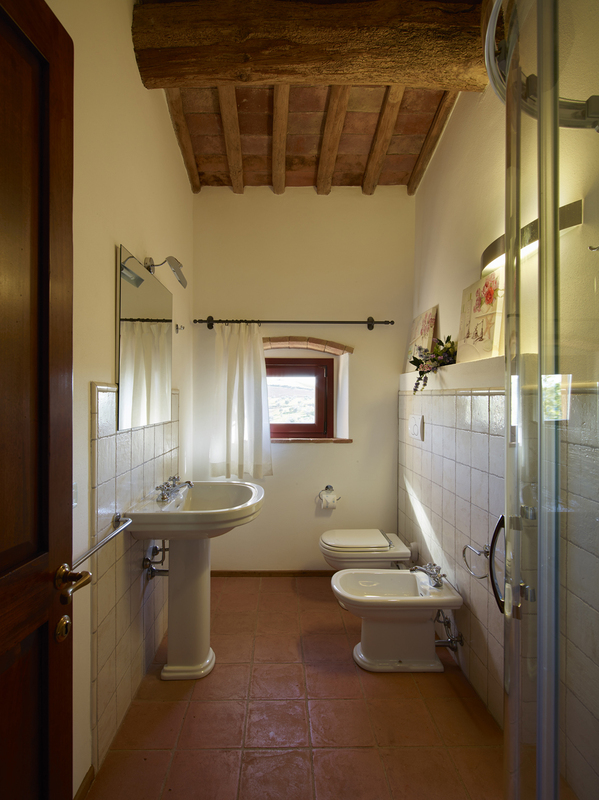 Le Scuole: it’s located where once was the old school of the Borgo, it consists of a large room on the ground floor with direct access to a private patio and large bathroom. 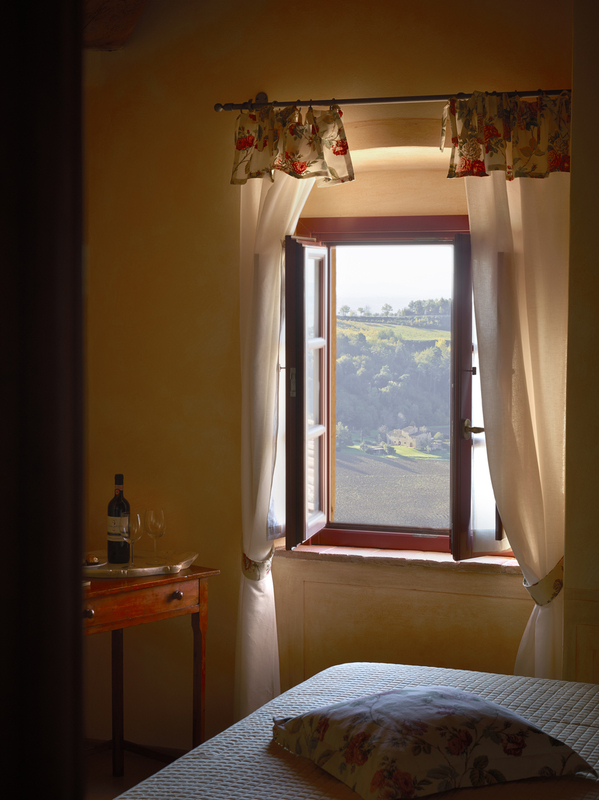 Montigliane: room on the first floor overlooking the hill of Montigliane from which takes its name. 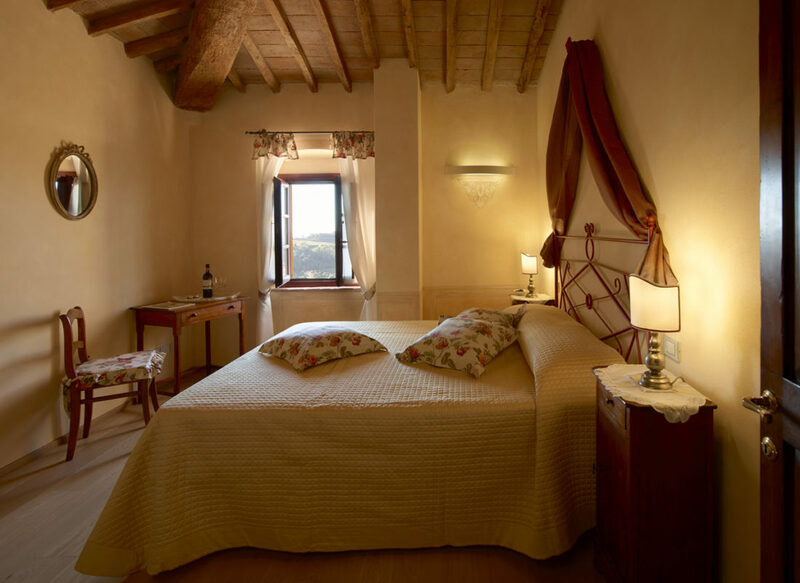 Barberino: room on the first floor overlooking the village of Barberino. 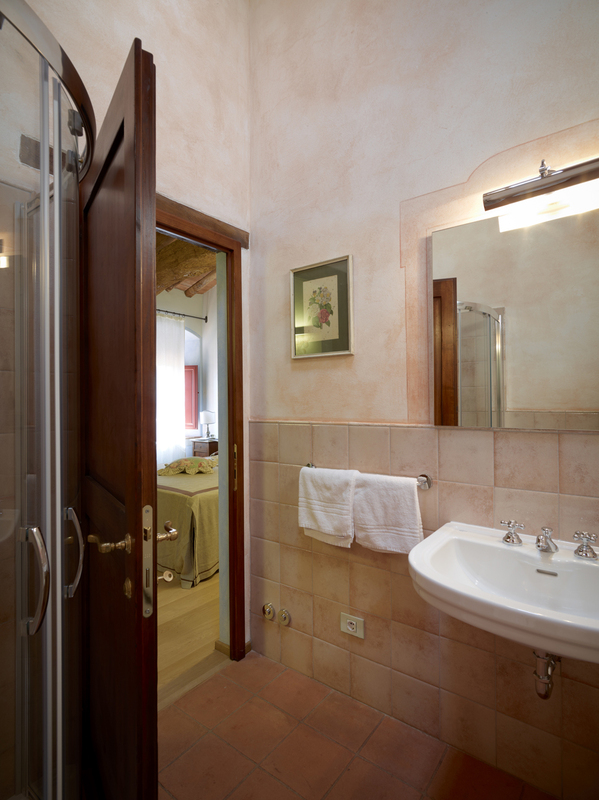 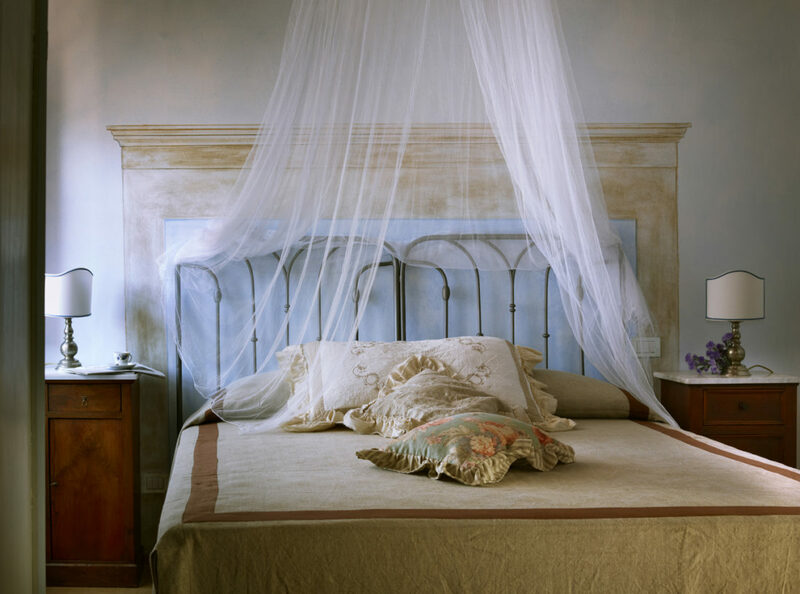 It is very spacious with canopy bed and large bathroom.